What is special about TUFO tubulars? 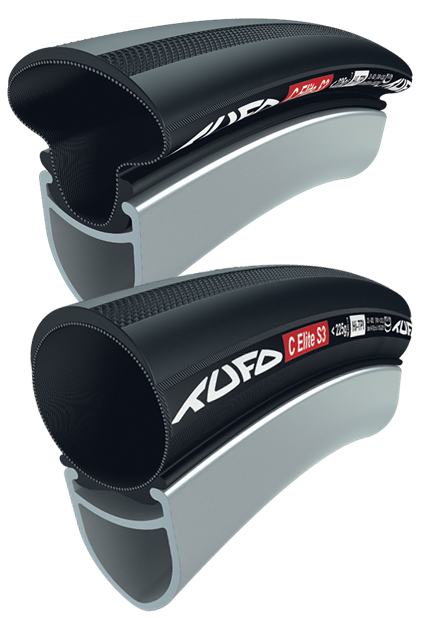 TUFO was founded in 1991 and has been on the forefront of tubular tyre design ever since. From the very beginning TUFO worked hand in hand with many world champions and elite racers from all cycling disciplines. This cooperation makes the translation of theoretical knowledge from development and research into new products much easier. All the production is under direct and everyday control in the TUFO plant in the Czech republic. Most of the production is accomplished by skilled hand work, making it possible to concentrate on detail and quality. Every finished tubular tyre/tubular clincher is tested for air leaks. Inflated to 10 bars (145 psi) for a 24 hour period. Final quality control specialists test every finished tubular tyre/tubular clincher for roundness, correct size and overall finish. This is done visually and by hand, inch by inch around the tyre. TUFO tubulars and tubular clinchers are manufactured without stitching of the carcass which allows higher inflation pressures without the risk of blow outs. There is a fully integrated gluing system using a pressure activated tape for fast, mess free fitting of TUFO tubulars. What, tubs on clincher rims? 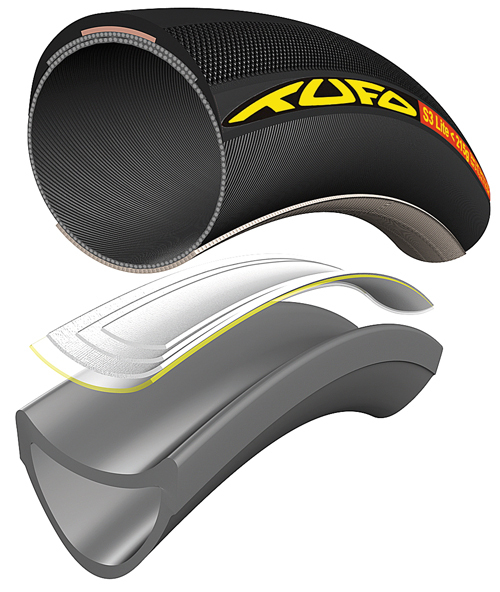 Again Tufo have come up with a brilliant solution, take a tub and vulcanise a special strip to the underside which clips into the clincher rim (only available on some of the Road models). Same tub, same pressure, but you can use your existing rims, (usually only for 13-15C sizes)! To repair just inject sealant into the tyre through the valve, no need to remove the tyre or the wheel, inflate and go. Takes all of 5 minutes and your hands stay clean. .... the latest review. ....check out the latest review.